Possibility to spend the night at Abu Dhabi airport (AUH), if open 24 hours. Services available, places to rest (free resting zones), or look for the list of nearby hotels and vip lounges..
A very busy airport throughout the day and the night, it is relatively small for the amount of passengers going through it. Beyond that, there are a lot of stuff to do and visit. It is noisy and pretty cold, so have earplugs and warm clothes if you are going to spend the night inside the enclosure. Where to rest: There are not many places for resting, but you can find reclinable chairs next to the boarding gates of Terminal 3. 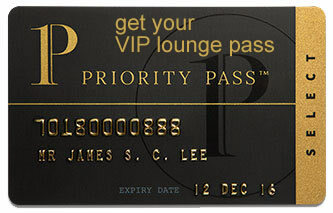 Another option (by paying or through a credit card that provides the service) is to use one of the VIP lounges, most of which are open 24 hours a day. However, keep in mind that the maximum stay is usually 4 hours. SEE VIP LOUNGES In Terminal 1, on the other hand, there is a hotel, and another alternative is linked to terminals 1 and 3. Baggage: There is a luggage storage office in the Arrivals Hall of Terminal 1. Eating and drinking: Options open around the clock inside the three terminals. Restrooms: Showers inside the VIP lounges and next to gates 32 and 37. Other services available around the clock: ATMs, currency exchange bureaus, duty-free stores, prayer rooms, children's play area, medical clinic, pharmacies, baby changing facilities. In the Departures area of Terminal 1 is situated the Aerotel Abu Dhabi (Tel +971 2575 7377). On the other hand, the Premier Inn Abu Dhabi International Airport (Tel +971 2818 6666) has direct access to terminals 1 and 3. Some alternatives nearby are: Marriott Hotel Al Forsan Abu Dhabi (Tel +971 2201 4000), Al Raha Beach Hotel (Tel +971 2508 0555), Park Inn by Radisson Abu Dhabi Yas Island (Tel +971 2656 2222), Yas Viceroy Abu Dhabi (Tel +971 2656 0000), Yas Island Rotana (Tel +971 2656 4000), Staybridge Suites Abu Dhabi - Yas Island (Tel +971 2656 3333), Centro Yas Island (Tel +971 2656 4444), Crowne Plaza Abu Dhabi - Yas Island (Tel +971 2656 3000).